You can set your dieselpunk story in Gotham or Metropolis, Librium or Antarctica. You can build the most incredible structures and fill the streets and hangars with every kind of weird machines. The sky is the limit! But you need something more: the atmosphere. No matter how optimistic you are, the genre simply cannot do without a bit of darkness. Stylish darkness. So, what about Noir? The Anti-Hero is the most common protagonist of the Noir — a man alienated from society, suffering an existential crisis. Frequently portrayed as a disillusioned, cynical police officer or private-eye and played by a fast-talking actor, the Anti-Hero is no fool and doesn’t suffer fools gladly. He faces morally ambiguous decisions and battles with a world that seems like it is out to get him and/or those closest to him. The setting is often a large, oppressive city (filmed in dark and dusky conditions to create a moody atmosphere), with Mexico often playing a big role. Familiar haunts include dimly-lit bars, nightclubs filled with questionable clientele (including, the Gayngster) whom the lead may intimidate for information, gambling dens, juke joints and the ubiquitous seedy waterfront warehouse. At night in the big city, you can bet the streets are slick with rain, reflecting streetlights like a Hopper painting. Most of the characters (including the lead) are cynical, misanthropical and hopeless all the way through the film, and never find true redemption. Desolation. Suspense. Dark air electrified with danger and sin. Shady spots lost between back alleys. Strong drinks and heavy smoke. Dim lights. Charcoal coats and sharkskin suits. Black gunmetal. False friends. Ladies you never can trust… Don’t get paranoid. And if you do, remember: even paranoids have enemies. They are following your steps. Now! 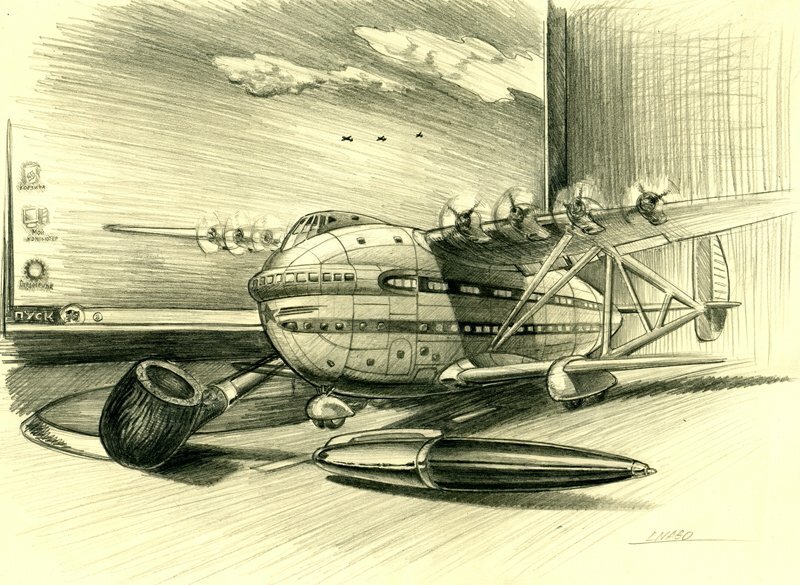 Once upon a time, about fifteen years ago, there was an aviation technician who started to draw fantasy aircraft. Nearly a decade later, he discovered dieselpunk movement. And the movement discovered his art. Meet Mr. Lnago (or just lnago, as he humbly spells his nom de guerre,) an aviator, hot rod enthusiast, artist, founding father of the Atlantic Republic. The Dieselpunk Encyclopedia is proud to present Sam Van Olffen, one of the greatest dieselpunk artists. This will sound strange but I don’t think that anything comes directly from my brain. I’m just a vector, a kind of supra-physical translator. I’m not kidding. I just use information to make pictures, much as a computer makes pictures with binary language. My synapses translate data which comes from I don’t know where. That’s my role. I’m more interested in the past as a way to understand the present and how in less than one century we all became “citizens of the age of the ephemera” as Alvin Toffler said pertinently. The lost civilizations, the great conflicts, men, discoveries, etc., whole those new quantic waves that were shaping the face of humanity. Needless to say it was more impressive than… Facebook! I have always wanted to create universes and characters, tell stories. I have always been attracted by science fiction and fantasy worlds, robots and monsters.I like big cities, pollution, oppressive atmospheres and everything connected with death. I like architecture and above all I like history. I let things happen. With all these elements combined you get dieselpunk. <…> You are right when you think dieselpunk fits my own style more. It is darker. 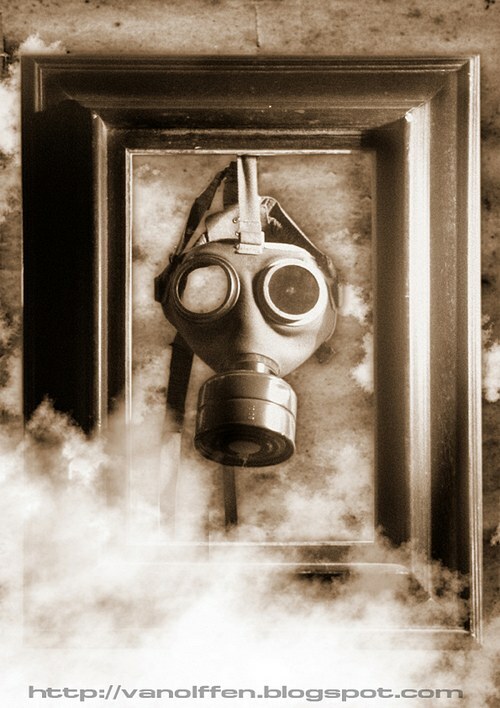 Dieselpunk is the psychopathic son of steampunk. Dieselpunk is a fantastic reimagining of the period from about 1920 through the 40s. Dieselpunk tends to be darker than its steampunk cousin. It’s flexible in that it can incorporate stories which do NOT take place in that time period but are heavily permeated with that period’s feel and flare. A noir style detective piece set on the planet Zamboozala 6 for instance would be dieselpunk if the feel were indeed central to the piece. Stories set around the technology level of the period most certainly count too. 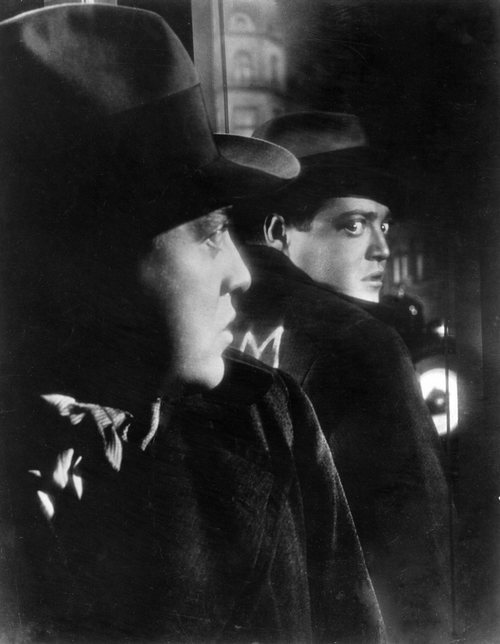 Thus it is that we list the 10 best Dieselpunk movies made, even though in almost all cases the film makers did not set out to make their films be “Dieselpunk” or indeed were even aware of the term.